Digging through multiple analytics tools to understand how your content performs is time-consuming and often produces ambiguous answers that need an analyst to turn into actionable insights. Filament integrates with Google Analytics and other data sources to provide you with smarter insights about how your visitors are interacting with your blog content, via a clear, intuitive interface and simple email reports, sent straight to your inbox. 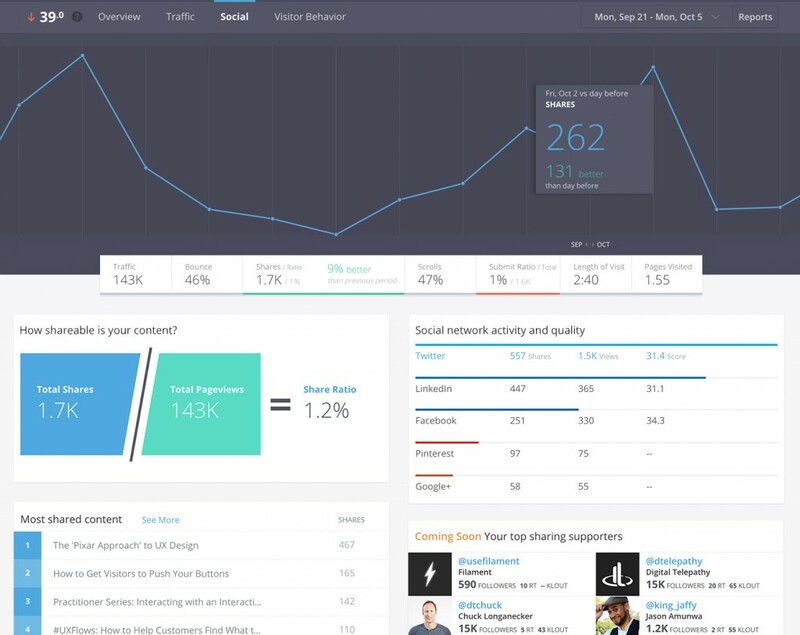 Filament combines Google Analytics with critical visitor metrics for fast-growing blogs, to tell you what content is working best, where you should promote and more.